The principal form of every Spanish verb is its infinitive. The infinitive is the basic idea of the verb. For example, hablar (to speak) connotes just the idea of action. It has no person or time, which is provided by conjugating the verb. All regular Spanish verb infinitives come with one of three spelling variations. They either end in -ar, -er, or -ir (e.g., hablar, beber, vivir). Chop off the two letter ending of any regular Spanish verb to find the all important verb stem (habl-, beb-, and viv-). The verb stem and what is added to it determines the verb’s tense and person (e.g. : hablamos = we speak). What makes Spanish verbs so challenging is that we must learn 14 individual verb conjugations, but they do follow a pattern and can be learned through memorization and practice. The verb stem habl- is coupled with the -ando ending. Spanish has three classes of infinitive endings (-ar, -er, -ir), but only two present participle endings (-ando for -ar, and -iendo for -er, and -ir verbs). Unfortunately, there are a group of irregular present participle forms of Spanish verbs. See the section below for a partial list. Like the present participle, the past participle has only two endings to add to the verb stem. Spanish -ar verbs get the -ado ending; -er, and -ir verbs get the -ido ending. 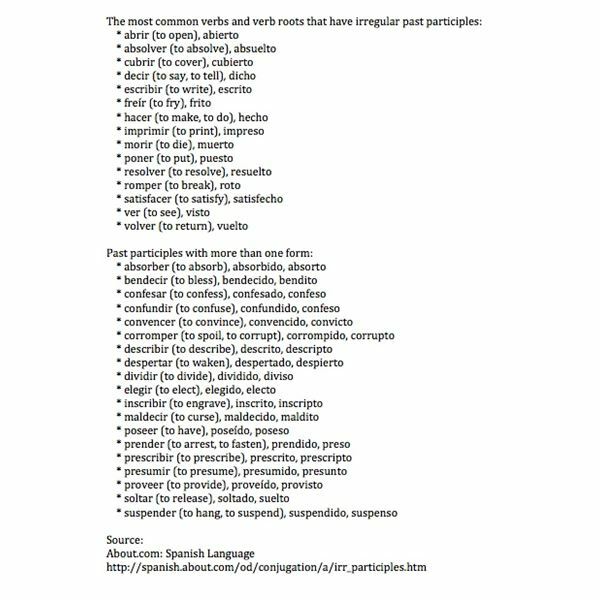 Unfortunately, again, there are a group of irregular past participle forms of Spanish verbs. 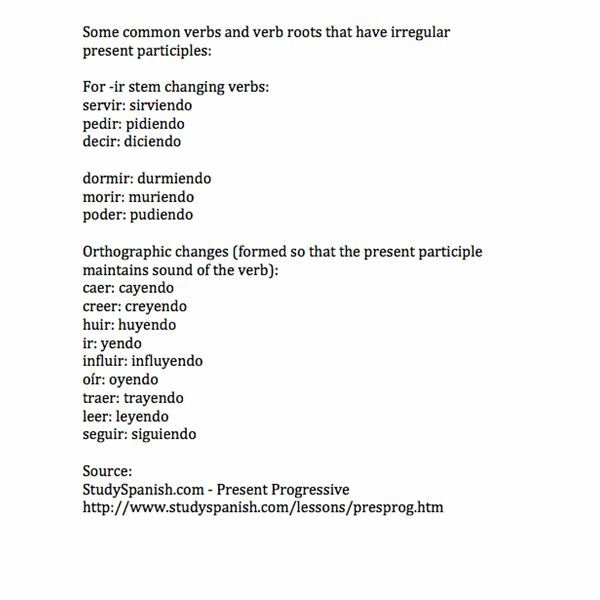 See the section below for a list of the most common Spanish verbs that have irregular past participles. 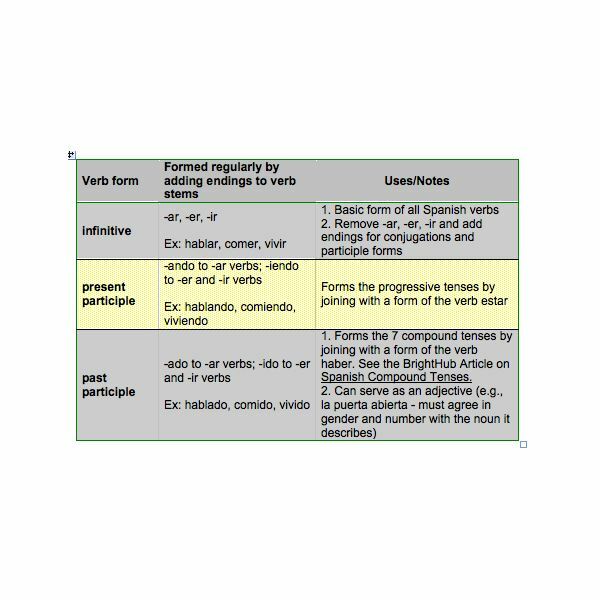 Click on the image below for a matrix of Spanish verb properties. Here is the Bright Hub article on compound verbs referred to in the matrix.